Ever experience a time when your grandparents told extraordinary tales? Never Alone instills the experience of a village elder retelling tales passed down from generation to generation. Following the adventure of an Iñupiaq girl named Nuna and Arctic fox companion, she sets out in search for her missing family after their village is destroyed, and attempts to find the source of a crippling blizzard that caused it all. 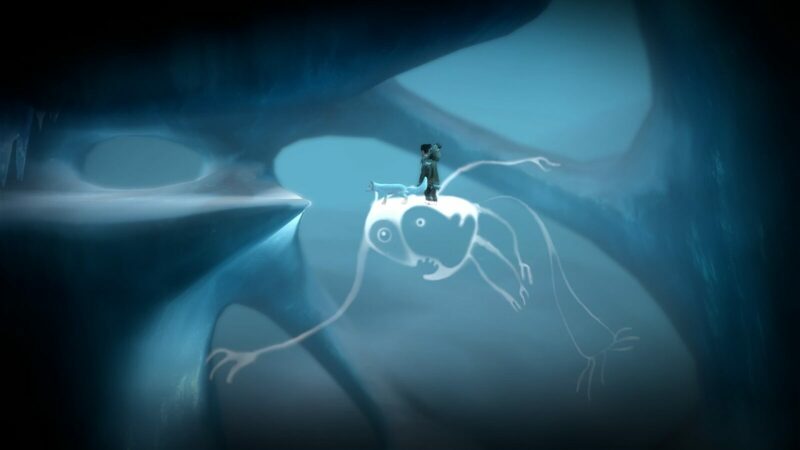 Consisting entirely of Alaskan indigenous folklore, Never Alone captures a rare examination of a unique environemnt familiar to very few people. It is with this captivating culture where the game gains most of its charm. Due to the very specific culture featured in Never Alone, there are loads of foreign words, creatures, and ideas that only a native or expert could follow. Fortunately there are a series of videos explaining relevant concepts to help gain better insight on the Iñupiaq way of life, which can be gradually unlocked the further you progress in the game. It is here where the game unexpectedly becomes an educational experience rather than a pure game. Strangely enough, these documentary videos featuring archival footage and expert testimony are some of the most fascinating things about the game. One video featured a woman who told an unconventional childhood story of when her family raised a polar bear cub. Unlocking a new video was something I looked forward to the entire game because it provided insight on a lifestyle seemingly so unbelievable to the vast majority of Americans. 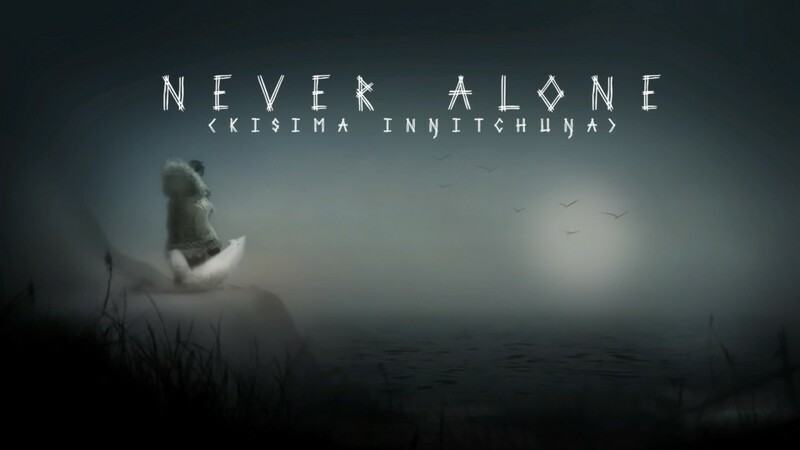 Unfortunately when it comes to gameplay, Never Alone falls short. As a puzzle-platformer, the controls were frustrating, particularly any time the game reached a sequence that forced the player to rush through a section. Most of the issues stem from Nuna’s abilities. One of her main abilities involves throwing a bola to break objects. Aiming her shots with only the right analogue stick was a constant struggle, often leading to imprecise throws. Controlling Nuna wasn’t enjoyable, but the Arctic fox was the exact opposite, so much so that I wouldn’t have minded if the fox was the main focus of the game. With the ability to walljump and scurry up ledges, the fox’s movements were tighter and more enjoyable. There were times when it seemed like the game was meant to be played with two players because switching between companions, mainly during fast-paced sections, felt cumbersome. To reinforce the issue, companion AI would occasionally walk off a ledge to a prompt death. If things could not be more frustrating enough, any single hit by an enemy results in an automatic death. Getting attacked by a polar bear, admittedly, would be met with a swift end, but there were less severe attacks dealt by other enemies that met the same result. Combined with lackluster controls, the autodeaths just didn’t mesh well. The arctic backdrop mixed with Alaskan folklore provides a unique atmosphere. You can practically feel the cold and tenacity of Alaska as you play. Nothing caught my attention regarding the soundtrack. As for the environmental effects, there’s a strong sense of power the weather has over this particular region based on the various weather related sounds heard within the game. When the best parts of the game are things that aren’t game related, then there might be a problem. There isn’t really a lot in the game to entice a replay. The unlockable videos are usually in plain sight, and there a no additional collectibles either. It took me only a couple hours to finish the game, so don’t expect any long commitments which can be both good and bad. 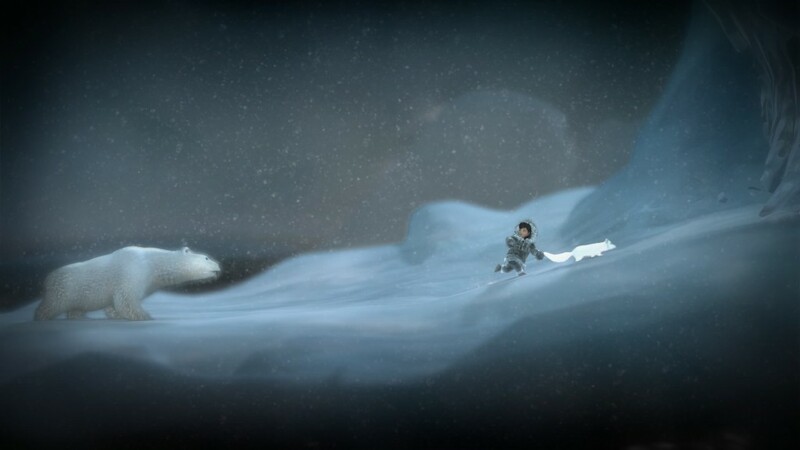 One positive I will say is that Never Alone gave me a greater respect of Iñupiaq culture, and that seemed like the ultimate goal the developers were trying to convey.